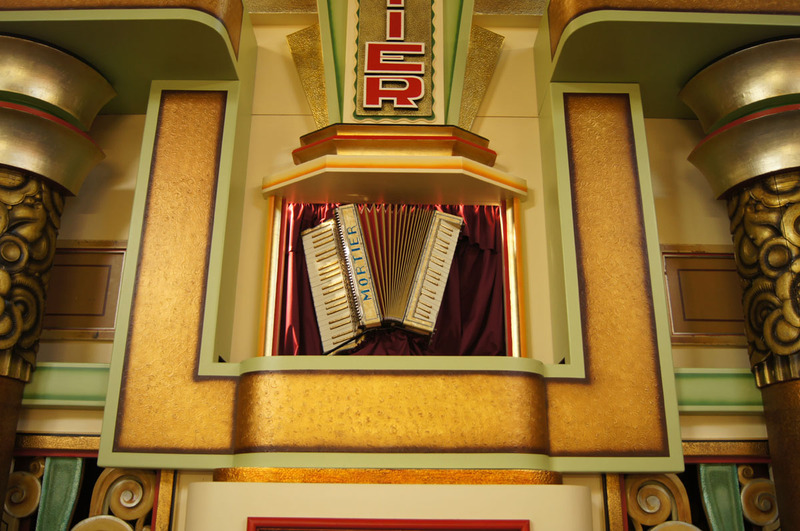 This organ was built circa 1937-38 and bears serial number 1075. 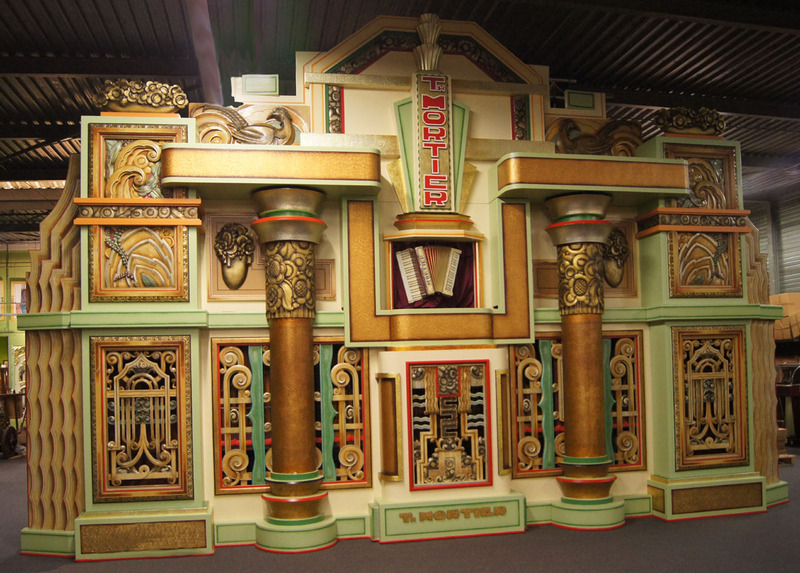 After a working life spent in Belgium, it was brought to England around 1964 and became the centrepiece of the Paul Corin Music Museum in Cornwall. Many years later it was sold again, and found its way to Switzerland, and later, the United States, until it was sent back to London in the late 1990s. The completed organ proudly displayed in its new home. Note the monumental proportions of the façade. It was completely restored by us for its new owner, a Dutch collector. The façade decoration had been damaged by bad handling over the years, so it was partially repainted. 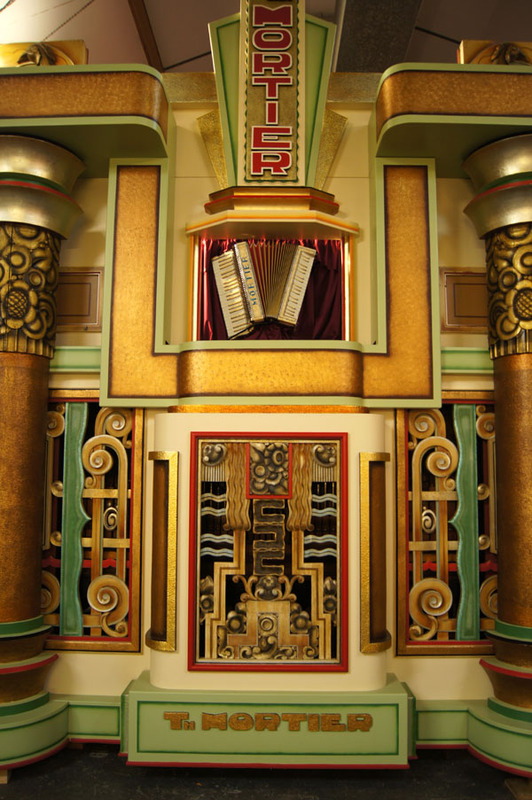 The original decoration of the carved elements was not disturbed, only the flat surfaces being repainted. Finally it was embellished with airbrush work, as it had been originally. 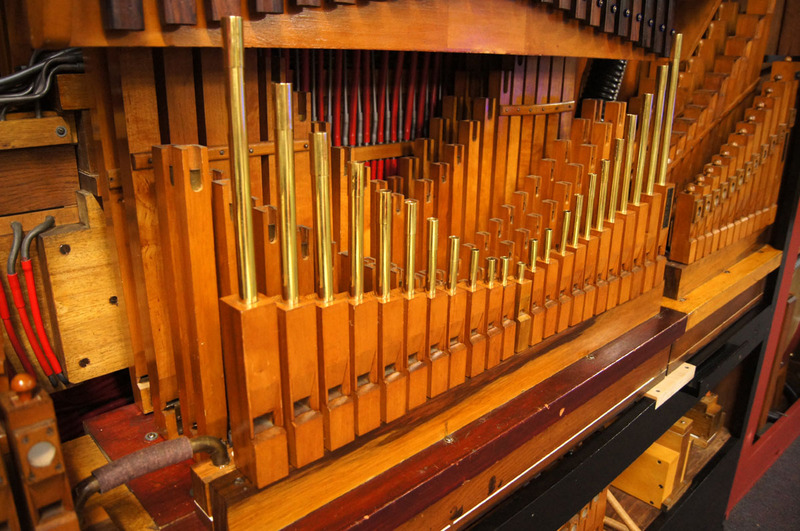 By this treatment, the overall appearance of the organ was greatly freshened, but considerable parts of it are still as it left the factory. This is a late product of the Mortier firm; production ceased for the duration of the war, and the business never recovered to its former level after 1945. Mortier went into liquidation in the early 1950s. 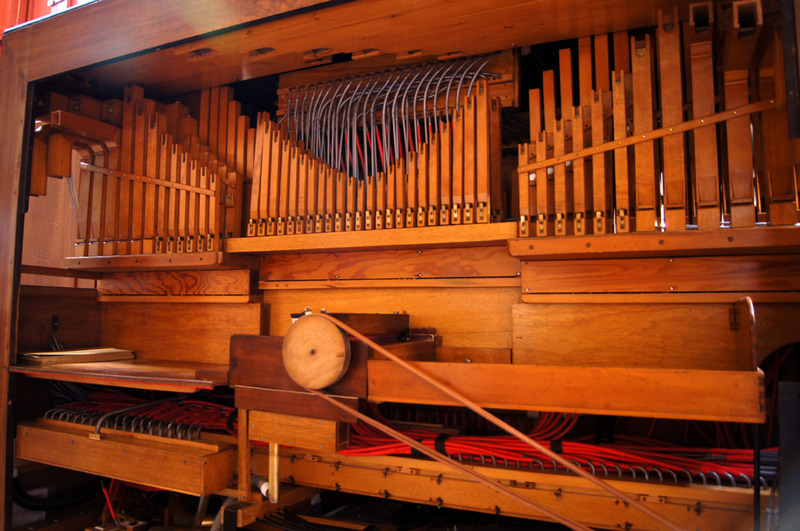 Hear the Mortier organ play “Sway” in an arrangement by Urbain van Wichelen. (Workshop recording by Stephen Simpson and used by permission). Close-up of the jazz flute register, and behind it, two ranks of violins, and at the rear, two ranks of Undamaris. A glimpse of the 23-note xylophone can be seen above and at the front, far right and left, the melody vibratones.